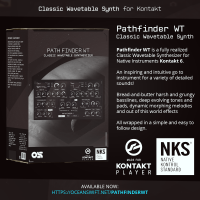 Pathfinder WT is a fully realized classic wavetable synth instrument for Native Instruments Kontakt. 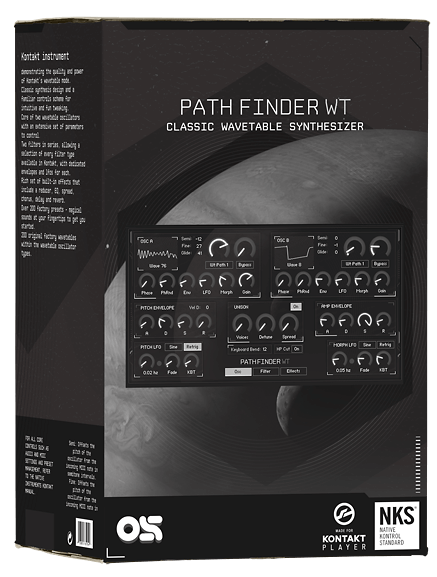 An inspiring and intuitive go-to instrument for a variety of detailed sounds. 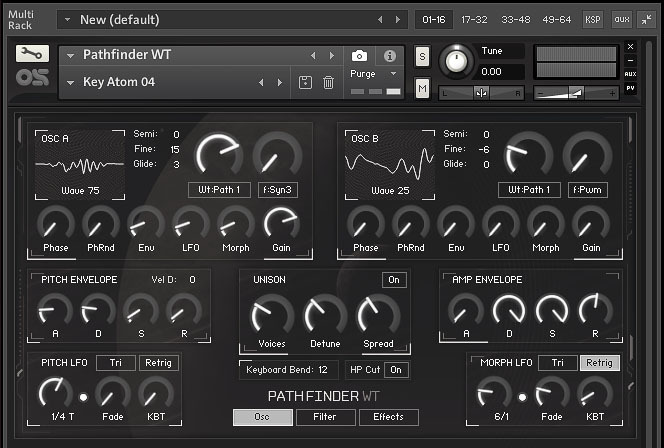 Such has, bread-and-butter harsh and grungy wavetable style leads and basslines, deep evolving tones and pads, dynamic morphing melodies and out of this world effects – wrapped in a simple and easy to follow design. Made for Kontakt 6, compatible with both Kontakt Player and Full Version. Full NKS integration. 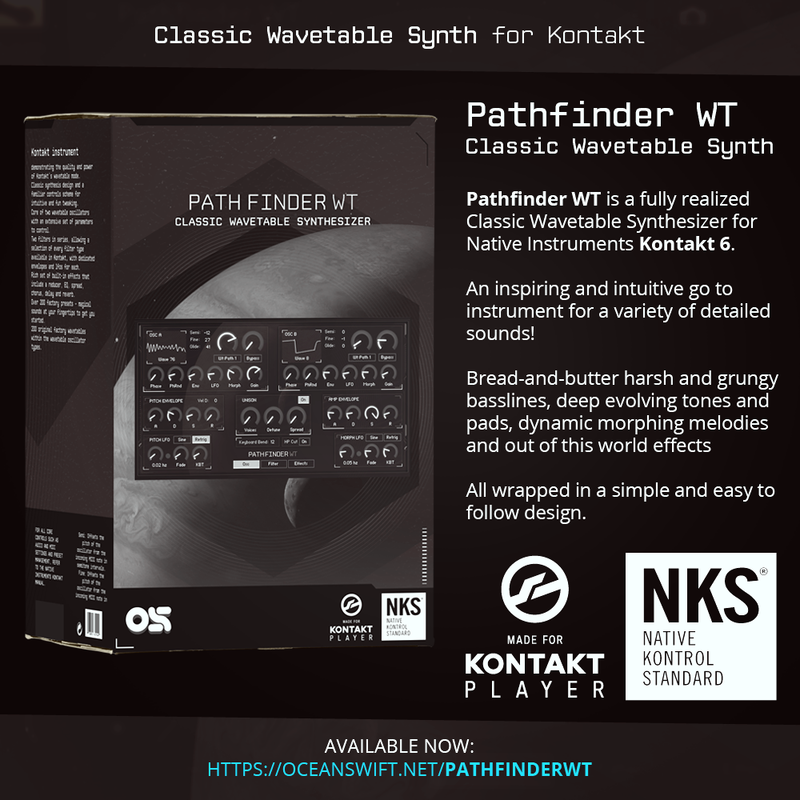 Two Wavetable Oscillators with 1500 Waveforms - Pathfinder WT comes packed with 15 full wavetable of both morphing and multiple-cycle types, with a whopping 1500 cycles in total. Waveshape/Form - 13 algorithms used for the wavetable phase warping. 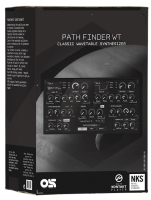 Dual Filter in series with 19 types - Two filters in series, allowing a selection of every filter type available in Kontakt, with dedicated envelopes, LFOs and tube distortion for each. 8 Voice unison section with detune and spread controls. 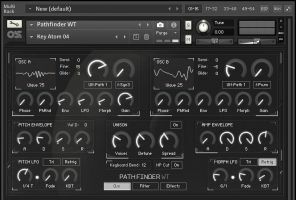 300 Presets and much more.